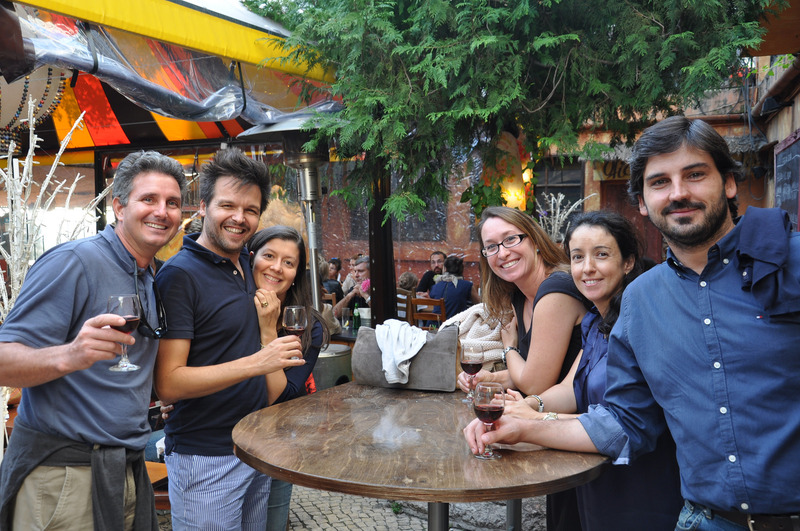 We had a fabulous time in Lisbon. 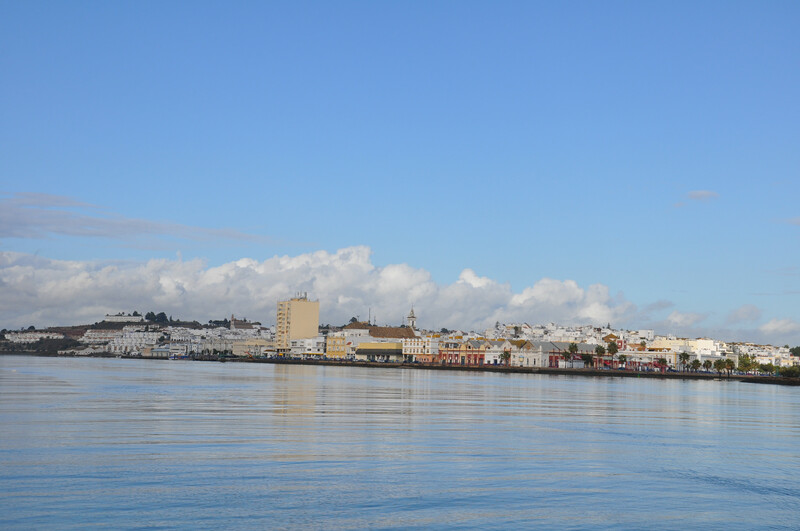 It is a beautiful, historic city with friendly people (who fortunately speak English well as our Portuguese is lacking and no one wanted to speak Spanish). We spent a week exploring and doing errands. We also took a side trip to the nearby city of Sintra to view its famous and historic castles and scenery. However, at the risk of boring our dear readers, I will recount just one night we spent in Lisbon to give you a flavor of the city without putting you to sleep. 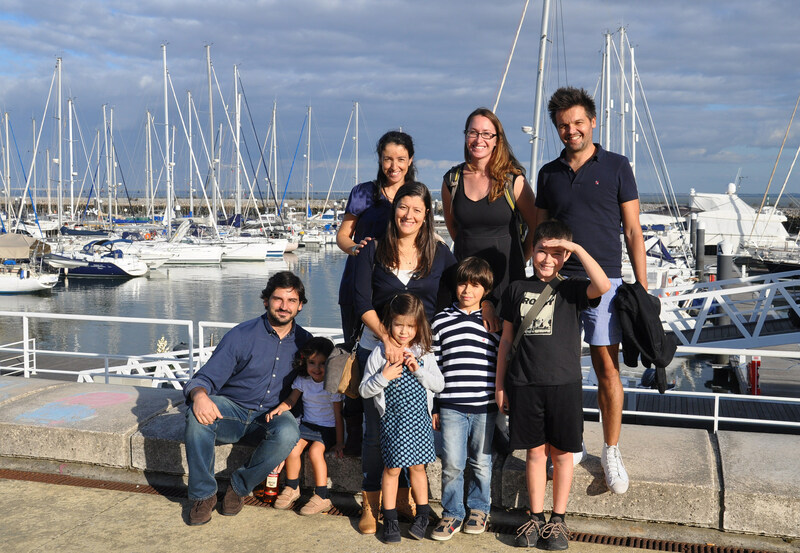 My friend Filipe arrived at the boat in the afternoon with his pregnant wife Ana (due on January) and 3-year-old daughter, Mariana. He brought another family, parents Hugo and Rita, their daughter Luisa and son Frederico. I used to work with Filipe at Cisco and we had been on many conference calls while working together but had never met in person. We gave everyone a tour of the boat. The benefit of giving a tour of Benevento, as we pointed out to our guests, is that everyone can stand still in the same spot and see everything. 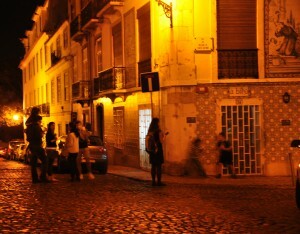 We then all piled into two cars and headed toward the old city center. I was in the car with the women and they pointed out famous city sights such as the plaza where Lisbon residents claimed itself a republic (ending the monarchy), past the famous tower from the 1500s, the Torre de Belem, and past the old Moorish castle atop the highest hill in the city. 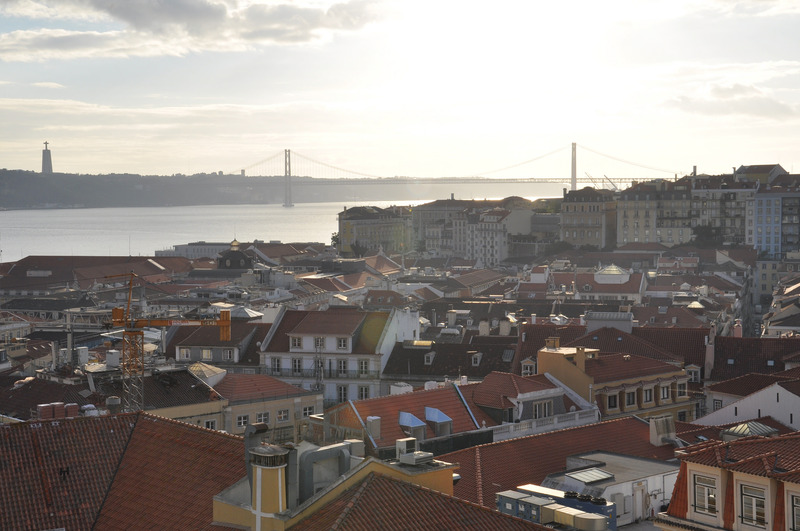 Old Lisbon is beautiful and somewhat like an ancient San Francisco; but with steep cobblestone streets and ancient buildings. 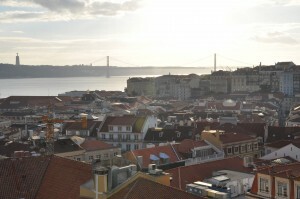 Lisbon even has the sister bridge to the Golden Gate and trolley cars going up its steep hills. 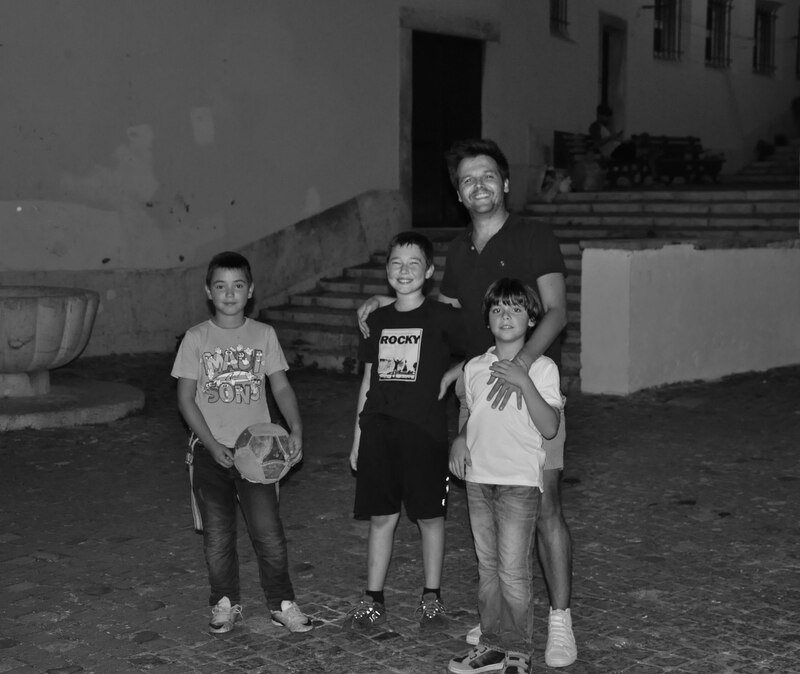 Filipe took us to a local bar and restaurant that doubled as a school for entertainers. It housed an art gallery and was dotted with pieces of art, including a large chandelier made from the discarded, colored plastic containers of a coffee machine. We stood at a table and enjoyed port, vinho verde and delicious Portuguese snacks such as potato skin chips, cod croquettes, fresh marinated olives and hearty bread. We migrated to another part of the bar which had a treehouse and an art area for kids. 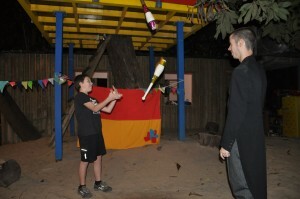 Hugo and another man began juggling with bowling pins (presumably part of the entertainer’s school curriculum!) 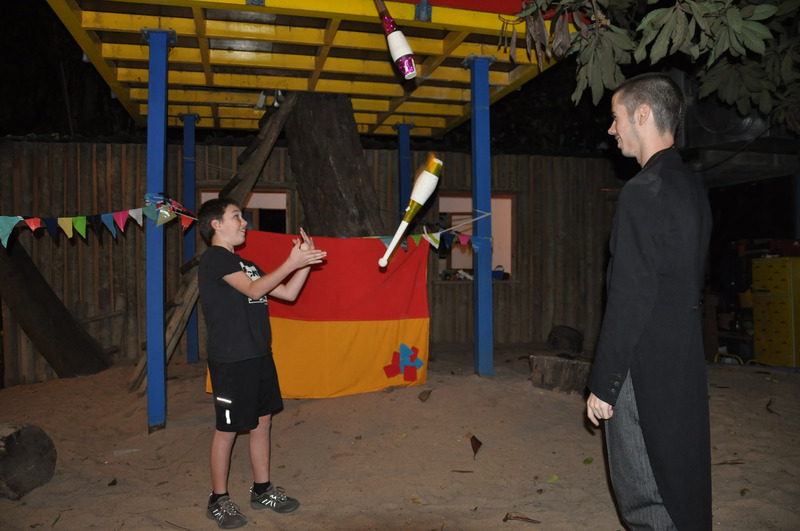 and then taught Dante how to juggle. The owner gave us a tour of the rest of the building, which included a small art gallery. 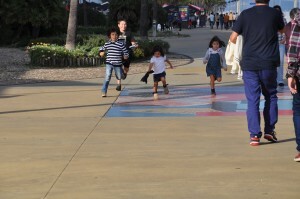 Refreshed, we then walked through the city to a restaurant to have dinner. As we were walking we passed a small excavation site, which a sign indicated were old Roman ruins. Dante was thrilled. REAL Roman ruins! We were surrounded by history. We ended up at our restaurant after walking through small cobblestone streets only navigable by foot. 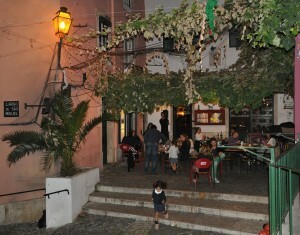 We had a lovely dinner at a long, rectangular table in a small courtyard. We had more Portuguese wine, olives, lasagna made with béchamel sauce and bacalao (salted cod), charred padron peppers, spiced roasted chicken legs, grilled green beans and cream of vegetable soup. We ate family style, passing the plates up and down the table. Next to the courtyard where we were eating was a small plaza, where a boy was playing soccer by himself. Intrigued, Dante and Frederico went over to begin playing with him. It seemed a scene out of a movie; young boys playing soccer on a cobblestoned plaza, kicking the ball against ancient stucco buildings by the soft light of street lamps. 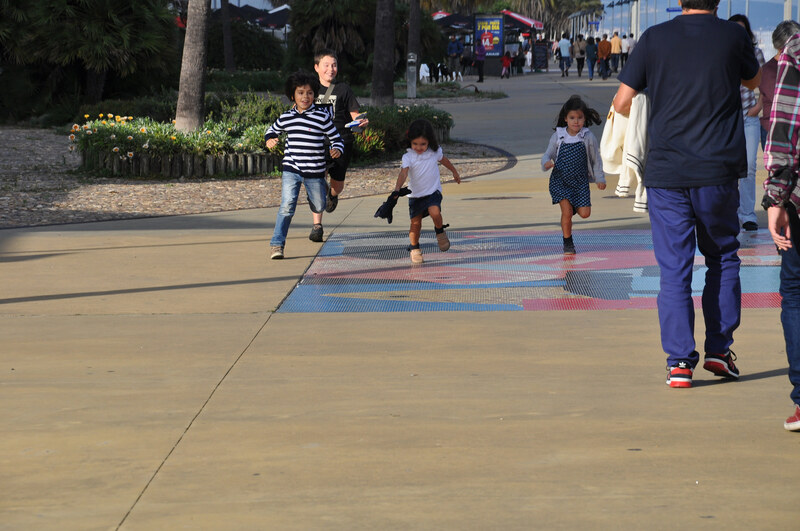 Soon Filipe and Hugo were in the fray. 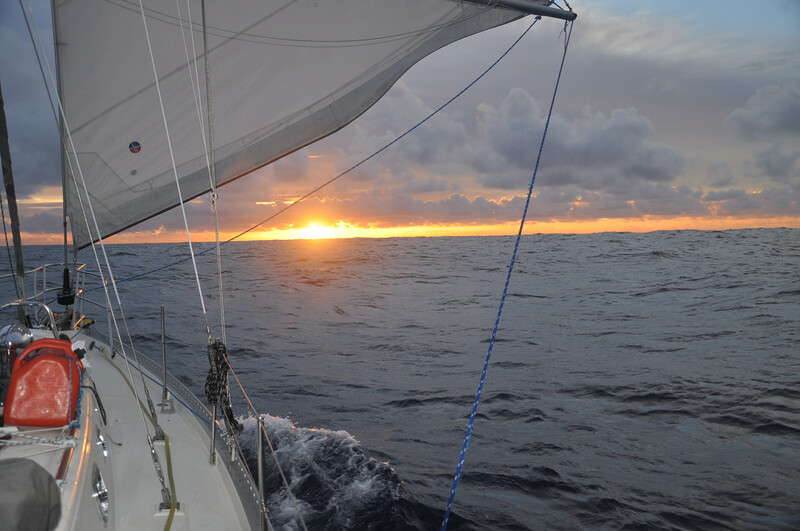 But by this time it was close to 11pm and it was time to make the journey back to the boat. Filipe presented us with several bottles of wine and port before we said goodbye to everyone (women give each other a kiss on each cheek, as do women and men, while men shake hands.) 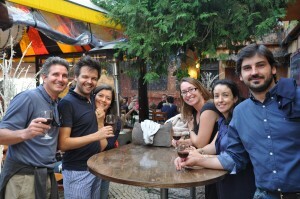 It was a perfect afternoon and evening and the best way to experience a city: with the locals.